Dr. Whytock has been doing special lectures and workshops this year in various locations. Saturday Feb 25th he was in Mthatha doing one there. The workshop addresses three aspects of remembering the Reformation today in the life of the Church. This year’s speaker is Rev. Vernon Light from Port Elizabeth. Rev. 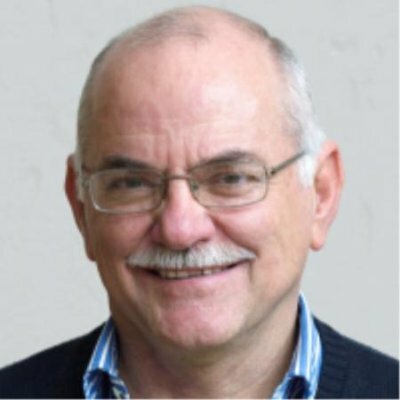 Light is the author of Transforming the Church in Africa and is a post-grad tutor for the South African Theological Seminary (SATS). We look forward to welcoming Vernon and Heather to Dumisani for this special day. Mark this on your calendars. 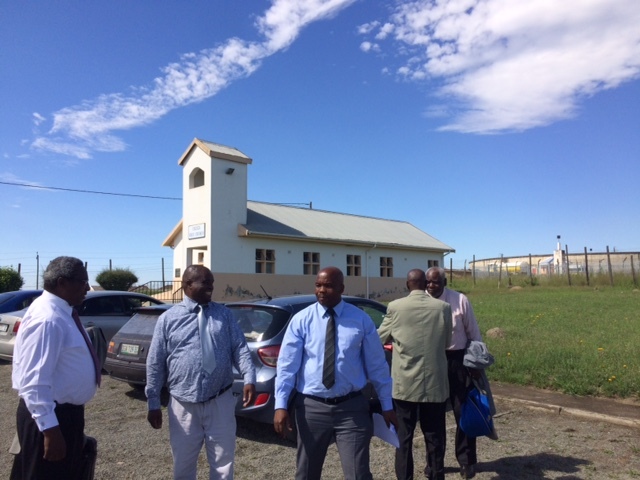 The venue will be Bethany Emmanuel Church near Shoprite in King William’s Town. We express our appreciation to this church for the use of their facilities. Brothers are busy scraping and painting this week! 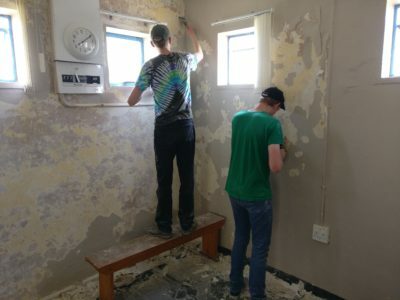 Martin and Philip from New Brunswick are busy this week scraping and painting the main lecture hall walls in preparation for the start of classes on February 6th at Dumisani college in South Africa. Greetings as another year draws to a close. We are thankful to have this opportunity to give an update from Haddington House and you will no doubt notice a theme in this issue of our newsletter. We have decided to concentrate on the theme of library development for theological education and training – one of the four aspects of our ministry. Books may not audibly speak, but they actually do speak! Libraries may be quiet places, but they are places where lives are transformed. 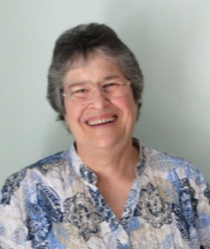 However, before we go to the theme of library work, we would like to give thanks to the Lord for the work of Christina Lehmann on the occasion of her retirement from Haddington House. 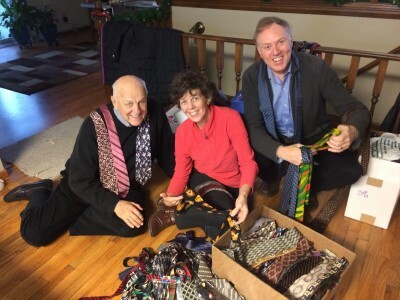 1,200 Ties for African Library Project! 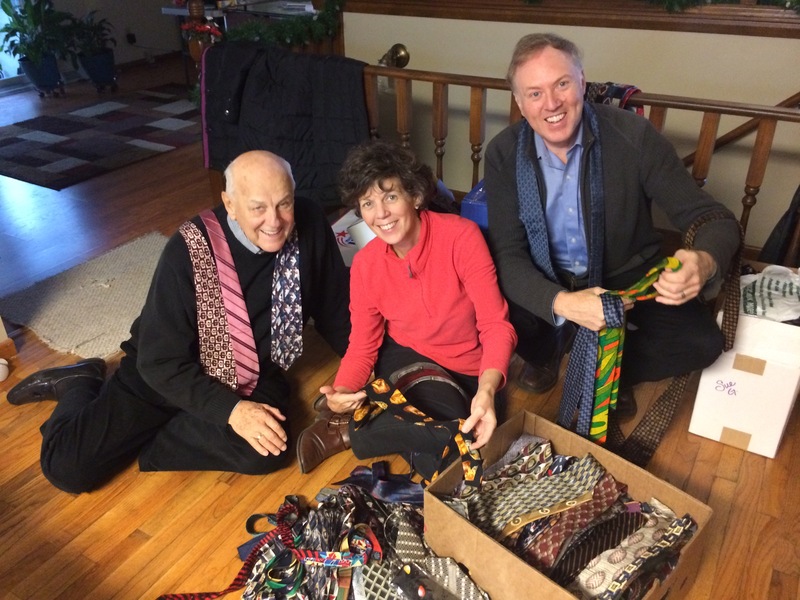 Thanks folks in Grand Rapids for collecting Ties for our African Library Project. You have done a great job.